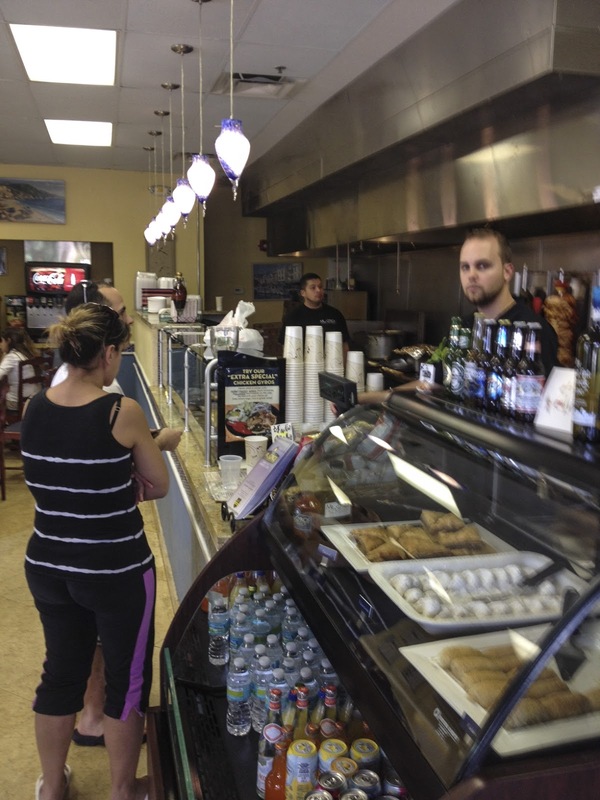 In my travels, I am always looking for a good hole-in-the-wall that has interesting food and that doesn't break the bank. When in the West Palm beach area of Florida, this can be quite a task. 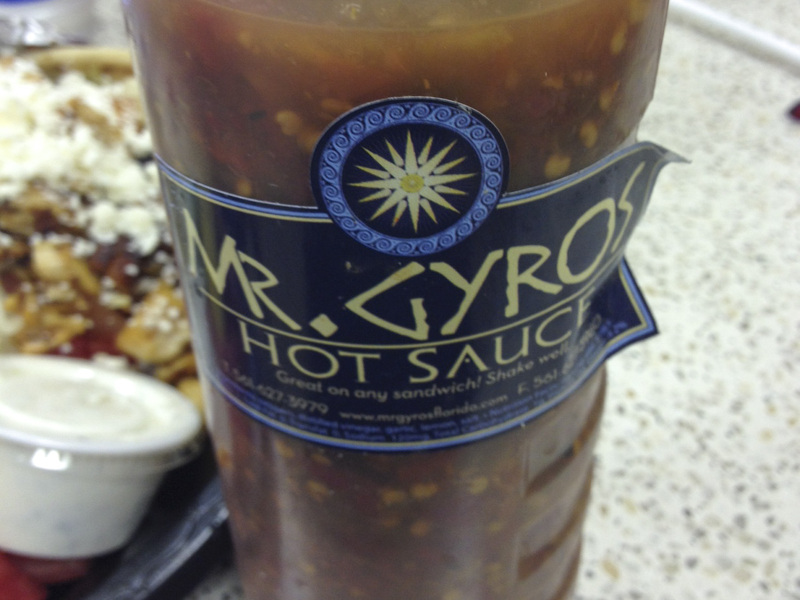 Luckily I got lost and ended up at Mr. Gyros. I don't think they get many people taking pictures. I would usually go with a lamb gyro, but the chicken on the spit was so crispy and delicious looking, I passed over the recently shorn gray variety for the poultry version. 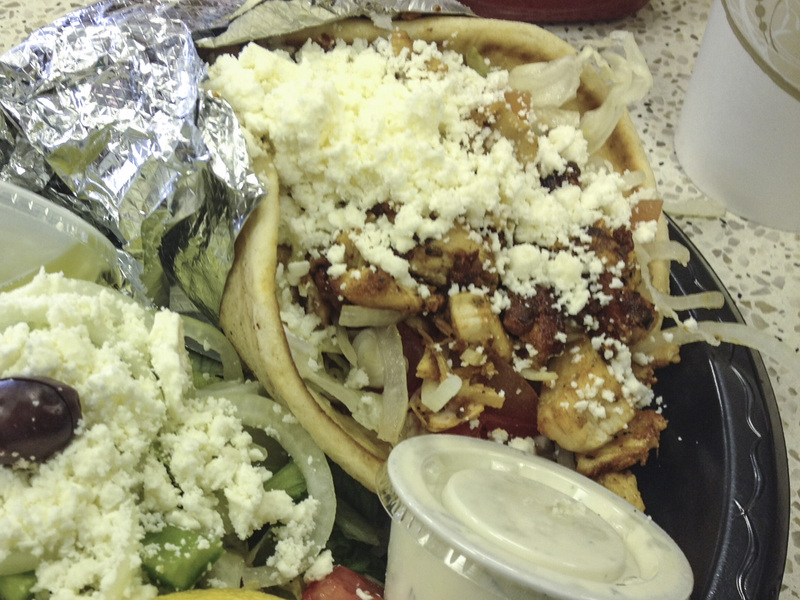 This gyro comes LOADED, has feta on it as a standard (not noted on the menu), and has tzatziki on the side. Big fan of the manual application of yogurt sauce, as it allows for controlling the slop factor when you get down to the foil parts. 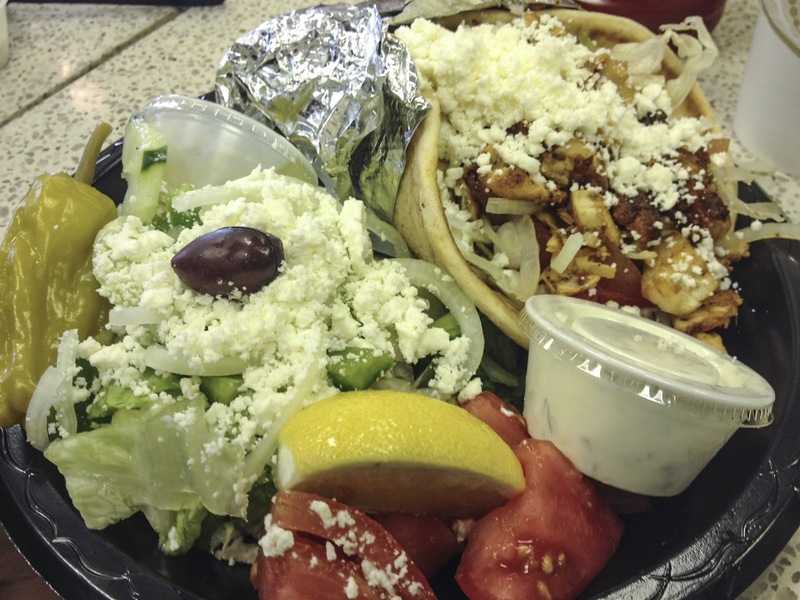 The Greek side salad was pretty great as well. Especially with the house dressing. Probably my favorite part of the meal was that they have and sell their own hot sauce, which is basically the Mediterranean version of the hot pepper hoagie spread I love so much around here. One gripe is that the peppers themselves are tough to get out of the squirt bottle. Other than that, it added a nice vinegary zip to the sandwich (and salad). 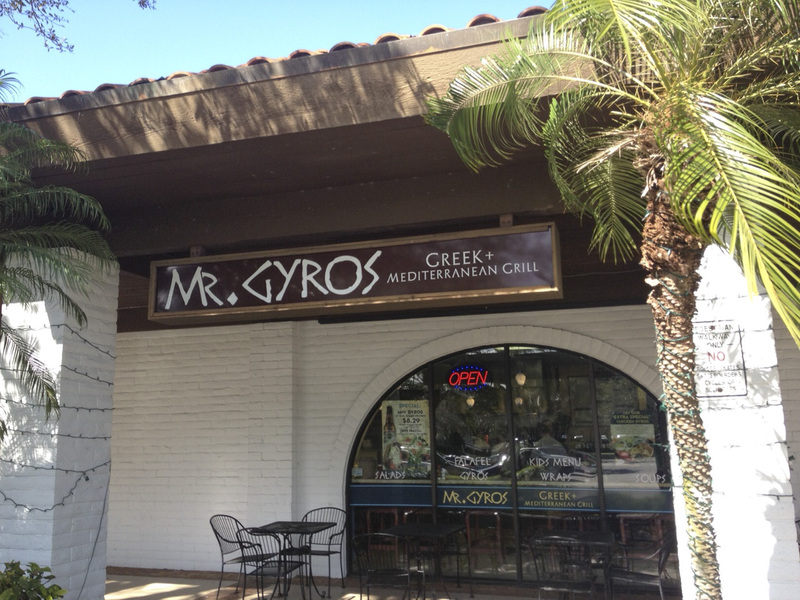 For the ritzy food and lifestyle synonymous with this area, Mr. Gyros was a great find for some reasonably priced "ethnic" food .